Does a golf cart get any faster if you call it a car? In the processor world, we’re about to find out. This week, Intel announced its new 7th generation, “Kaby Lake” laptop processors, and the low-power, mediocre-performing m5 and m7 series chips are officially gone. Sort of. The 4.5-watt processors that used to be called m5 and m7 chips have been renamed in the new lineup and now carry the Core i5 and i7 brand names. Of the Core m line, only the m3 remains. This name change is bound to befuddle customers, many of whom will think they are getting more powerful chips than they really are. While we haven’t tested any of the Kaby Lake chips yet, it’s a safe bet that the 4.5-watt processors will continue to be significantly slower than the regular 15-watt Core i5 and Core i7 that power most mainstream laptops and 2-in-1s. It’s basic science: the more wattage a chip has, the faster it can run. The low-power chips allow for thinner designs that can be fanless, but in our experience, Core m systems have had inferior performance with battery life that’s no better and sometimes worse than their Core i-powered brethren. When we met with representatives of Intel to talk about Kaby Lake, they said that consumers didn’t understand the Core m branding and that this move would help alleviate customer confusion. After all, Core i5 is Core i5, right? Wrong. But what’s more confusing: having two different brand names for different types of CPU or having the same name for both? Intel will tell you that you have to pay attention to the SKU numbers at the end of the chip names. And if you do, you can sidestep the issue. The regular i-series will continue as usual: Core i3, Core i5 and Core i7, with all of the processor numbers ending in the letter “U” (the i3-7100U, i5-7200U and i7-7500U). The former m5 and m7 will have the letter “Y” in the name (i5-7Y54, i7-7Y75 andm3-7Y30). For tech nerds like me, this won’t be a problem. I’ll be able to use it to figure out what’s fanless and what’s more powerful, just like I always did. But Intel’s chips aren’t always marketed with their full names. When I browse laptops online, it’s never surprising to see the marketing copy read “comes with a powerful Core i7 processor.” Which one? You only find out if you’re savvy enough to really dig into the specs (Apple doesn’t even disclose which generation of chip it uses on its web site). And if you’re a regular reader of Laptop Mag, that’s probably not a problem. The people I’m worried about are your friends and family, the ones who only know that seven is greater than five which is greater than three. Because up until now, that’s how simple it was to know, roughly, what kind of power you were getting in relation to another computer. But the “Y” and “U” series chips will make that difficult for a large portion of the customers buying millions of laptops in 2017. After all, Core i5 is Core i5, right? Wrong. I reviewed a configuration of the Dell Latitude 13 7370 ($1,743 as tested) earlier this year that featured a 1.1 GHz Intel Core m5-6Y57, it offered poor performance, completing our OpenOffice macro in 6 minutes and 56 seconds. The super-thin Acer Switch Alpha 12 ($800 as tested) uses a Core i5-6200U and completed the test in 4:32. Not only is the Switch Alpha 12 cheaper — it’s fanless, which is what Core m5 was meant for. Acer uses water cooling to make a powerful, portable device that one would usually expect to require the Core m chip. Otherwise, both had 8GB of RAM and a 256GB SSD. Users who do little more than surf the web might not notice the difference in performance between a 15-watt Core i5-7200U and a 4.5-watt Core i5-7Y54 and they probably won’t even know which one they have. IT managers who buy business laptops in bulk will educate themselves about the different SKU numbers and choose accordingly. However, consumers and small business users who need to do any kind of productivity work could mistakenly buy a system with a Y series CPU and end up disappointed. And since Intel did make the switch, it’s strange that it didn’t go whole hog and rope the m3 into the i3. At least then there would be one rule across the entire line of processors, even if it’s still more confusing than it was. This new naming convention is straight-up confusing for the average consumer. It’s not like Core i chips were simple already. Core i5 and i7 offer HQ and HK lines, which offer higher wattage and four cores instead of two. But this new naming convention is straight-up confusing for the average consumer and for the techie in their life that has to explain it to them. People knew that Core m was less powerful (though may not have known about the fanless benefit) and that larger Core i numbers meant more power. Suggesting, even indirectly, that Core i and Core m are comparable is absurd. 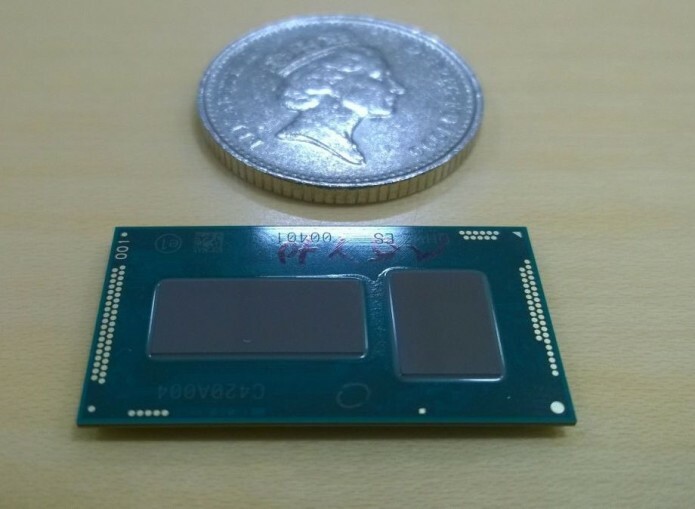 The performance delta is clearly enough to need a differentiator, and Intel has scrapped a transparent system for an opaque one.